At Tanden, we believe the learning process does not end upon the receipt of a diploma or the completion of a college degree. Based on our experience, we are convinced that the learning experience truly begins from an effective mix of hands-on experience supported by a foundation of fundamental and essential principles related to a specific learning discipline. The Learning Corner is designed to provide the Leadership Beacon reader with a portal into offerings available to help develop his or her professional skills and aptitudes. For more information on these and other Project Leadership Series offerings, go to www.projectleadershipseries.com. Project Management Approach to Career Planning because, sometimes, a little industry knowledge or personal development techniques could be just what the “Career Doctor” orders! Jobs are for the static; careers are for the dynamic. Do you want to be dynamic or static? In this issue, we’ll discuss the essential elements of a career plan… NOT a job plan, but a CAREER plan. Subsequent issues will address each of these components in greater detail. In effect, we will “set the table” in this edition. This series of postings are designed to help readers design, craft, and implement their own personal career plan and treat it as a project. 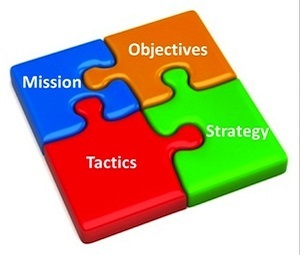 By the end of this series, readers will be able to articulate their personal career plan through a clear vision and mission (core doctrine), a well-aligned strategy (scope and objectives), a well-defined action plan (project plan), and regular check-ups and adjustments (monitor and control plan). Be sure to reconnect with each issue of The Leadership Beacon to guide you through the development of you own career plan! Welcome to our quarterly Leadership Beacon newsletter! Our intent is to provide you with useful and relevant learning and development information in the leadership and project management disciplines. We look forward to working with you on your leadership develop journey! Projects, in their simplest form, are the tactical initiatives that organizations take on to help reach its strategic goals. In other words, these temporary endeavors (projects) represent the stepping stones along the proverbial path to the finish line (goals). Yet, because every organization is limited by a finite amount of time, resources, and funding, they must reasonably determine which endeavors move from merely a concept to a project. Enter the project business case. A business case is a document that provides justification for starting a project by describing the benefits, costs and impact, and projected return on the organization’s investment. In basic terms, the business case sells the project idea to the key organizational stakeholders who will make the ultimate decision on which initiatives it will endeavor. As a result, the business case must be realistic, clearly articulated, and structured to address the needs of the decision-makers. Sounds simple enough, right? Unfortunately – yet realistically in the eyes of the decision-makers – your proposed project is only as good as it is presented. So, how can you make your business case capture the attention of the decision-making stakeholder? Let’s explore some of the key elements that will help make your business case “pop”! What are the Essential Elements of a Project Business Case? The first section of the business case needs to capture the attention of the organizational decision-makers. The Executive Summary section of the business case and is designed to provide essential background information as well as a well-crafted problem or opportunity statement. One to two paragraphs that describe the purpose, objectives, and content, the background should give them a reason to continue reading the business case document. In essence, the author needs to describe how the proposed endeavor will address an existing problem or seize on a potential opportunity. This is articulated in the Problem or Opportunity Statement which describes the negative threat or positive event that will occur as a result of doing the project. More specifically, it provides information on the current state (“as is”), the desired state (“to be”), and the existing delta (“the gaps”) between the first two. One paragraph at most, this should include a brief restatement of the project summary, benefits, and expected outcomes. The ABC of the project business case: Always Be Closing! Clearly outline your expectations of the decision-makers such as: what you need from them and when you need it. In other words, you want their approval to go forward with the project and need it by ‘x’ date in order to meet the terms presented in the business case. In summary, the business case presents the decision-makers with the first impression of the project. Though you may believe you are ready to proceed with the project, you cannot without approval from the decision-makers (you cannot pass “go” or “collect $200 without it!). If the business case is executed with effective structure and adequate attention to detail, your project concept will more than likely move from an idea to an active endeavor. You can learn more about the project business case through our Project Leadership SeriesSM Web’n Learn session, “Establishing a Project Business Case.” This 1.5 hour webinar will be broadcast live on Friday, 20 February 2015, at 12:30 PM ET. Don’t worry if you cannot make the live session – the webinar will be recorded for future playback! To learn more or register for the webinar, go to www.projectleadershipseries.com. into our past with hopes we can gain some key takeaways in our present leadership and project management environments. Who knows, maybe you can learn a thing or two that will apply to your current endeavors…? January 25, 1915: Alexander Graham Bell and his colleague, Thomas Watson, complete the first transcontinental telephone call. Bell – in New York City – successfully connects with Watson – in San Francisco. The first conference bridge? February 7, 1915: The first wireless message was successfully sent from a moving train to a train station. Technically, could one consider this the first wireless text message? March 3, 1915: The United States National Advisory Committee for Aeronautics, the precursor to today’s NASA, was created. Forefather to the PERT Estimating technique? 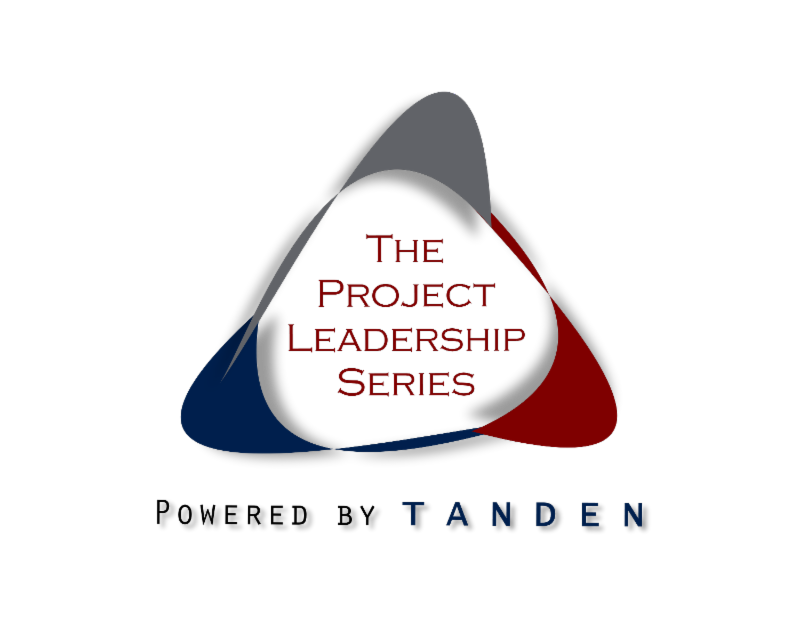 Tanden firmly believes that leadership is more about doing the right things – not merely just talking about it. In the Cause Corner, we will highlight the charities and philanthropies that we support. Please check them out! Since 2008, Tanden Founder and President, Chris Wright, has been involved with the St. Baldrick’s Foundation. Each year, he and his colleagues with The Bald Entrepreneurs, have hosted and managed an annual event to raise money for the foundation. Through 2014, The Bald Entrepreneurs’ events have raised over $575,000 for this important cause. The St. Baldrick’s Foundation is a volunteer-driven charity dedicated to raising money for life-saving childhood cancer research and funds more childhood cancer grants than any organization except for the U.S. government. Since 2005, St. Baldrick’s has funded more than $154 million to support the most brilliant childhood cancer research experts in the world. How Can I Learn More and Contribute? Check out this year’s event Mr. Wright’s fundraising page by clicking here.